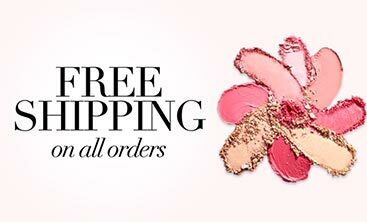 Finally, it’s your must-haves for beautiful skin, all in one palette! We filled this compact with your best-selling, most-loved powder, bronzer and blush—plus your new Perfect Lighting Luminizer—to give you complexion perfection all season long. I’m so excited to share IT with you! Discover your all-in-one palette that delivers a skin-perfecting glow. 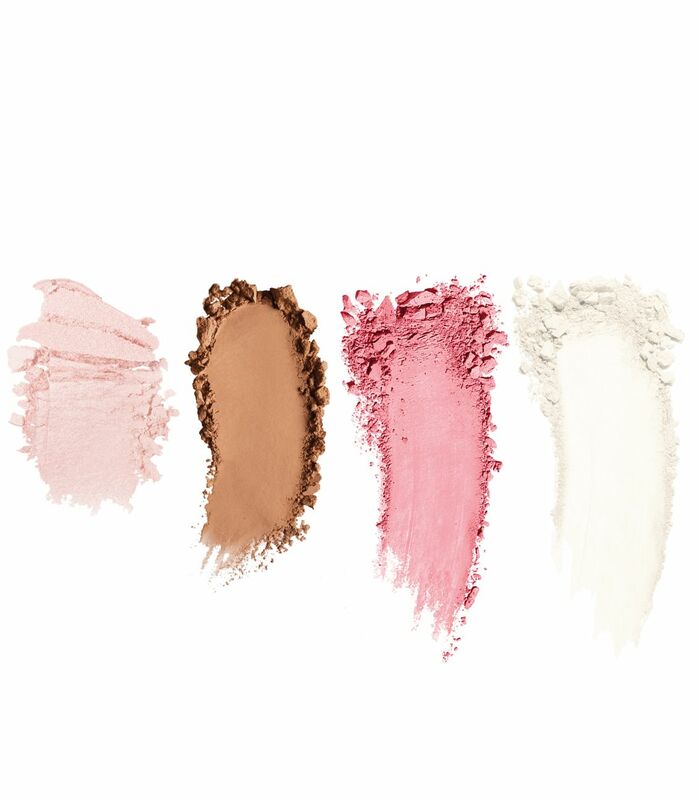 Your Je Ne Sais Quoi Complexion Perfection palette includes four must-have, powder formulas that enhance and brighten your features: new Sunshine in a Compact Matte Bronzer, new Perfect Lighting Luminizer, new Bye Bye Pores Blush, and Bye Bye Pores Pressed Finish Airbrush Pressed Powder. 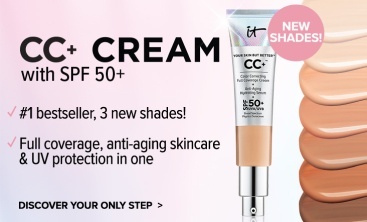 Infused with hydrolyzed collagen, silk and peptides, each of the formulas creates natural-looking contour and dimension while providing a youthful glow! New! Perfect Lighting Luminizer highlights and enhances your features! Featuring best-selling Bye Bye Pores Pressed Powder! New! Bye Bye Pores Blush in signature Je Ne Sais Quoi shade brightens your complexion! New! 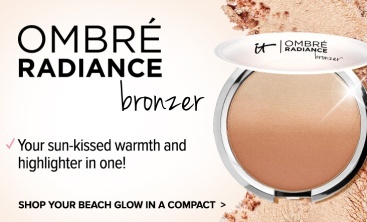 Sunshine in a Compact Bronzer adds your perfect summer glow! BLUSH: MICA, DIMETHICONE, MAGNESIUM STEARATE, PHENOXYETHANOL, TOCOPHERYL ACETATE, RETINYL PALMITATE, TOCOPHEROL, HYDROLYZED COLLAGEN, ASCOBYL PALMITATE, HYDROLYZED SILK, NIACINAMIDE, AQUA/WATER/EAU, GLYCERIN, STEARETH-20, N-HYDROXYSUCCINIMIDE, CHRYSIN, PALMITOYL OLIGOPEPTIDE, PALMITOYL TETRAPEPTIDE-7, CAMELLIA SINENSIS LEAF EXTRACT, HELIANTHUS ANNUUS (SUNFLOWER) SEED OIL, VITIS VINIFERA (GRAPE) SEED EXTRACT, ALOE BARBADENSIS LEAF EXTRACT, MAGNESIUM ASCORBYL PHOSPHATE, CHOLESTERYL OLEYL CARBONATE, CHOLESTERYL NONANOATE, CHOLESTERYL CHLORIDE, SODIUM HYALURONATE, EUTERPE OLERACEA FRUIT EXTRACT, [+/-: TITANIUM DIOXIDE (CI 77891), IRON OXIDES (CI 77491, CI 77492, CI 77499), ULTRAMARINES (CI 77007), RED 7 LAKE (CI 15850), RED 6 (CI 15850)]. FINISHING POWDER: MICA, DIMETHICONE, MAGNESIUM STEARATE, PHENOXYETHANOL, TOCOPHERYL ACETATE, HYDROLYZED COLLAGEN, ASCORBYL PALMITATE, HYDROLYZED SILK, NIACINAMIDE, ALOE BARBADENSIS LEAF JUICE, MAGNESIUM ASCORBYL PHOSPHATE, AQUA/WATER/EAU, CAMELLIA SINENSIS LEAF EXTRACT, CHOLESTERYL OLEYL CARBONATE, CHOLESTERYL CHLORIDE, CHOLESTERYL NONANOATE, CHRYSIN, EUTERPE OLERACEA FRUIT EXTRACT, GLYCERIN, HELIANTHUS ANNUUS (SUNFLOWER) SEED OIL, N-HYDROXYSUCCINIMIDE, PALMITOYL OLIGOPEPTIDE, PALMITOYL TETRAPEPTIDE-7, RETINYL PALMITATE, SODIUM HYALURONATE, STEARETH-20, TOCOPHEROL, VITIS VINIFERA (GRAPE) SEED EXTRACT, [+/-: IRON OXIDES (CI 77492)]. BRONZER: MICA, DIMETHICONE, MAGNESIUM STEARATE, PHENOXYETHANOL, TOCOPHERYL ACETATE, CHOLESTERYL OLEYL CARBONATE, CHOLESTERYL NONANOATE, CHOLESTERYL CHLORIDE, RETINYL PALMITATE, TOCOPHEROL, MAGNESIUM ASCORBYL PHOSPHATE, HYDROLYZED SILK, HYDROLYZED COLLAGEN, GLYCERIN, AQUA/WATER/EAU, EUTERPE OLERACEA FRUIT EXTRACT, BUTYLENE GLYCOL, CAMELLIA SINENSIS LEAF EXTRACT, CARBOMER, POLYSORBATE 20, PALMITOYL OLIGOPEPTIDE, PALMITOYL TETRAPEPTIDE-7, VITIS VINIFERA (GRAPE) SEED EXTRACT, ALOE BARBADENSIS LEAF EXTRACT, HYALURONIC ACID, [+/-: IRON OXIDES (CI 77499, CI 77492, CI 77491)]. LUMINIZER: MICA, DIMETHICONE, MAGNESIUM STEARATE, PHENOXYETHANOL, TOCOPHERYL ACETATE, RETINYL PALMITATE, TOCOPHEROL, MAGNESIUM ASCORBYL PHOSPHATE, HYDROLYZED SILK, HYDROLYZED COLLAGEN, GLYCERIN, AQUA/WATER/EAU, EUTERPE OLERACEA FRUIT EXTRACT, BUTYLENE GLYCOL, CHOLESTERYL OLEYL CARBONATE, CHOLESTERYL NONANOATE, CHOLESTERYL CHLORIDE, PALMITOYL OLIGOPEPTIDE, PALMITOYL TETRAPEPTIDE-7, CARBOMER, POLYSORBATE 20, VITIS VINIFERA (GRAPE) SEED EXTRACT, ALOE BARBADENSIS LEAF EXTRACT, HYALURONIC ACID, CAMELLIA SINENSIS LEAF EXTRACT, [+/-: TITANIUM DIOXIDE (CI 77891), IRON OXIDES (CI 77499, CI 77492, CI 77491), MICA (CI 77019), RED 7 LAKE (CI 15850)]. Your Je Ne Sais Quoi Complexion Perfection Face Palette is rated 4.4 out of 5 by 39. 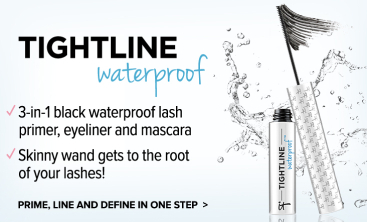 Rated 5 out of 5 by Promochic from Excellent product! I am in my 60’s, blonde with medium complexion. This palette, when paired with It CC in Medium shade, is so very flattering! Most powder based makeup tends to make me look dry and “ashy”. I mix a bit of moisturizer with my foundation, then use the blush and the bronzer to contour. The shimmery beige makes a great eye shadow. I haven’t figured out how to use the translucent white powder yet but three out of 4 is excellent. 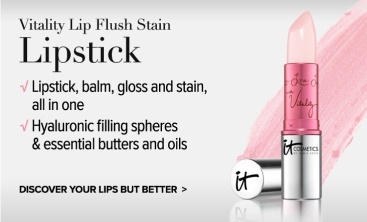 And The matching lip treatment is a flattering shade of pink, not too “bubble gum-y”, but looks like a natural flush. I am very happy with my purchase and will purchase again....but this looks like it will last a while. Rated 5 out of 5 by WA DIVA from ALL YOU NEED!!!!! IT girls this is "IT"!! IT WORKS for where you are or where you're going. IT is a Face Palette, not like an eye palette or lip palette where they all do the same thing just a change of color. This is a palette of "All you need" to do your face with glorious products. A soft Blush that you can intensify as you wish; a Bronzer (or eye shadow) that can be as 'sun kissed' as you feel like; a Highlighter (or Luminizer) that lifts and accentuates (also use as eye shadow) and lastly the Finishing Powder which sets IT all and gives you the IT airbrushed look. I use this palette every day and for a 74 year old "DIVA", I need IT ALL! Thank you Jamie and the entire IT team. Couldn't do IT without "ya'all". Rated 5 out of 5 by Dcc70 from This is gorgeous! I just love this palette - it is huge and the colours are lovely. The compact is great for travel and the large mirror is really useful! The bronzer and blush are matt but not flat and not nearly as dark as shown in the palette. 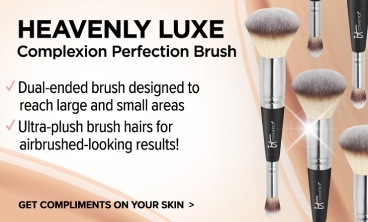 They are buildable so you can achieve a flush of colour or a deeper contour. The highlight is amazing, not glittery but gives a lovely sheen to the high points of your face. 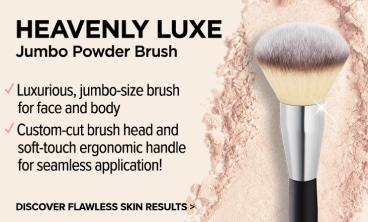 The bye bye pores powder just tops this off by giving a beautiful finish to the skin. 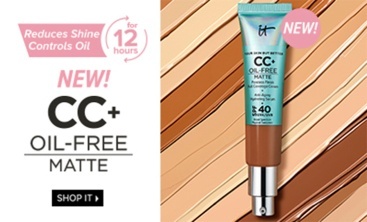 Another winner from IT Cosmetics! Rated 4 out of 5 by janetC from A good basic! This is a good palette if you're looking for something with a very natural color. I found that after an hour or so it seemed to fade - almost like I hadn't put it on at all. 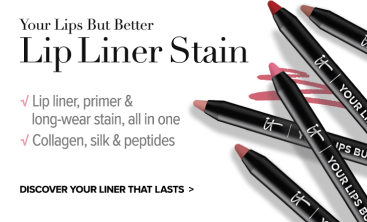 The lightest color is not a highlighter, just FYI. 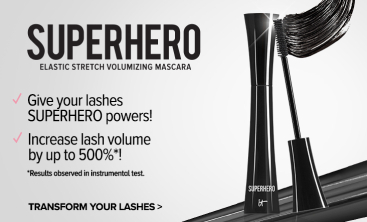 I am not in love with this product but like it enough to keep it.